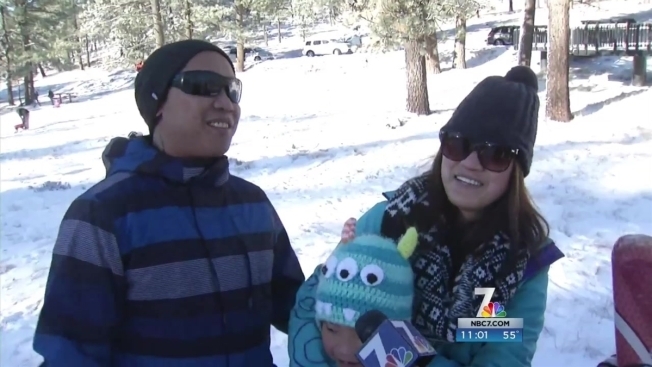 A winter storm dropped about an inch of snow on Mount Laguna but it won’t last long with warmer temperatures in the forecast. Before 9 a.m., there were children already using sleds to enjoy the fresh powder - approximately 1 to 2-inches of snow on the ground. Expect clear and sunny weather over the next several days according to NBC 7 Meteorologist Jodi Kodesh. 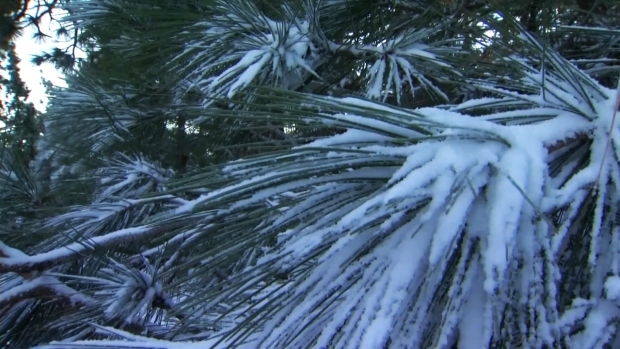 Approximately 1 to 2-inches of snow fell on Mount Laguna early Tuesday, Dec. 29, 2015. Kodesh said to expect highs in the low 60s for much of the county including the desert. In the mountains, the high temperature for Tuesday was expected to be in the low 40s.